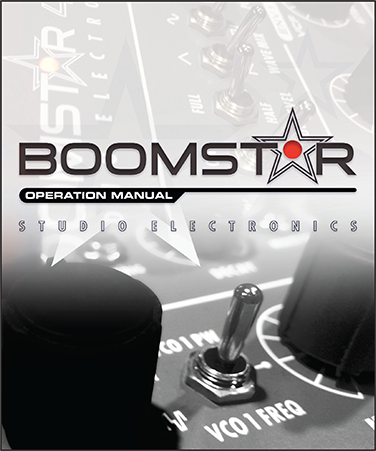 BOOMSTAR AUDIO—Listen to the most comprehensive selection of Boom* audio creations @ soundcloud.com/studio-electronics. © 1999-2014 Analogia Inc. - Ardent Proprietors of Studio Electronics. All Rights Reserved.